Researchers at the University of California, Davis, School of Veterinary Medicine have successfully carried out positron emission tomography (PET) on a standing horse for the first time. Until now, equine PET has required patients to be under general anaesthesia. Researchers say the ability to use this technology on a standing horse would expand the availability of this imaging technique, allow for more routine use and open it up to patients who may not be able to undergo anaesthesia. PET is a powerful imaging technique that shows the activity of bone or soft tissue lesions at the molecular level. Originally designed to image the human brain, a clinical programme launched at UC Davis in 2016 resulted in PET images of more than 100 horses. In these scans, however, anaesthesia was required to give the researchers easy access to the limbs and prevent motion. To develop a PET Scanner designed to address the needs of equine images, researchers at UC Davis are working with an engineering team at Brain Biosciences. 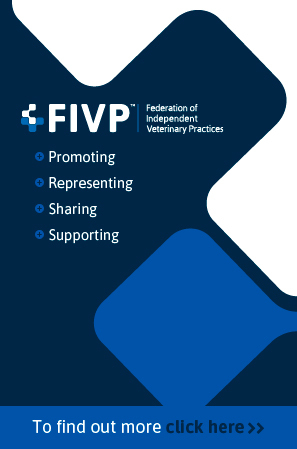 For standing PET, the clinician places the hoof of the sedated horse into the ring where the horse stands during image capture. To image the horse limb from the foot to the knee, the ring of detectors needs to open freely to allow the horse to remove its leg from the instrument without getting hurt. 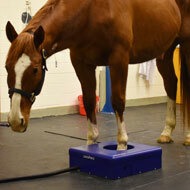 Work is currently ongoing to build this scanner, but researchers have since assembled a prototype allows for the initial validation of standing equine PET. This uses the same full ring of detectors present in the PET scanner, but is placed on the ground in a low, protective shell. Two horses were imaged using this standing equine PET prototype for the first time on January 16, 2019. Researchers say the sedation was as simple as if the horses were undergoing a radiograph, and high-quality PET images were captured within five minutes for each foot. UC Davis said the entire procedure went smoothly and that the data gathered confirmed the ability to acquire PET images in standing patients, without compromising image quality.